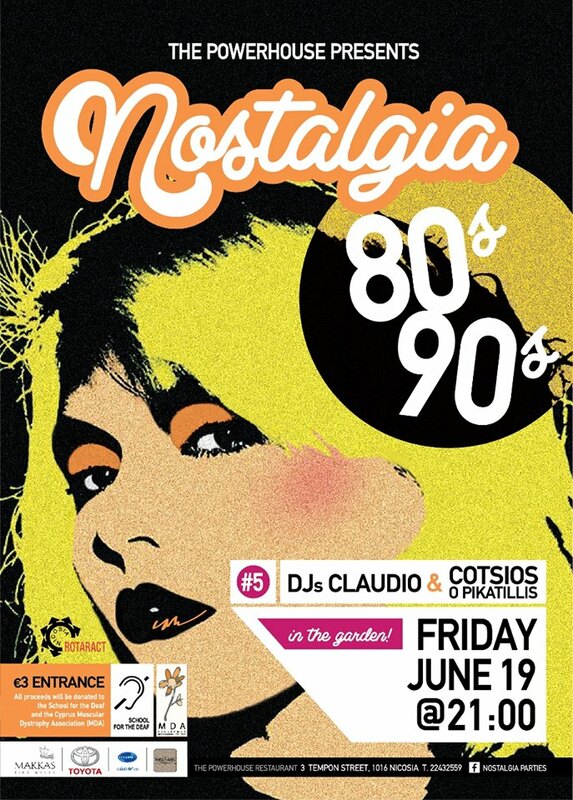 On the decks DJs Claudio and Costios o Pikatillis!!!!!! Entrance €3 – all proceeds will be donated to the School for the Deaf (eid-scholi-kofon-lef.schools.ac.cy) and the Cyprus Muscular Dystrophy Association (MDA) (www.mdacyprus.org), supported by Rotaract Club of Nicosia (www.rotaract-nicosia.com). Supporters of Rotaract Club of Nicosia are: Mega Sponsors: Makkas Winery Ltd, Toyota Cyprus (Dickran Ouzounian & Co. Ltd). Sponsor: C.H. Cleanset Ltd and Supporter: Kemanes Print Shop.